Handling personal injury matters requires attorneys to not only be well versed in the law, but also to have extensive knowledge about medical terms and procedures. Gale & Laughlin has been assisting personal injuries clients for years, helping them recoup what they deserve. Personal injury matters provide compensation to the injured party in an attempt to make them whole. We ensure that all of our clients receive top notch legal advice and compensation to assist them in the future. In May 2016 our client settled her personal injury claim for $900,000.00. 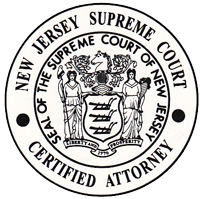 Our client was driving on West Main Street in Freehold when the defendant, driving the wrong way on a one-way street, struck the side of our client’s car. The impact was so severe that the defendant’s car pushed our client’s car into third vehicle. Our client’s treatment stemming from this motor vehicle accident included emergency room treatment, a CAT Scan, 3 EMGs, 8 MRIs, 40 doctor visits, 91 physical therapy treatments and 14 surgeries. Our client sustained a left torn meniscus requiring surgical repair, a left shoulder torn labrum requiring surgical repair and two lumbar disc herniations requiring first a discectomy surgery and subsequently a fusion surgery with internal fixation. Our client was a school bus driver and as a result of the fusion surgery she could no longer work. The lawsuit stated that our client had past, present and future lost earnings and lost household services of approximately $480,000.00. The settlement in this matter will provide our client financial stability due to the fact she can no longer return to her prior job. In many instances our clients will never be the same after their personal injury matter. A client may only be able to walk for short periods of time or not be able to do a simple task such as picking-up a suitcase. We are here to ensure that our clients’ futures are taken care of and that our clients leave our office knowing that we did everything for them. If you have any questions about a personal injury matter please contact our office. We are here to help.